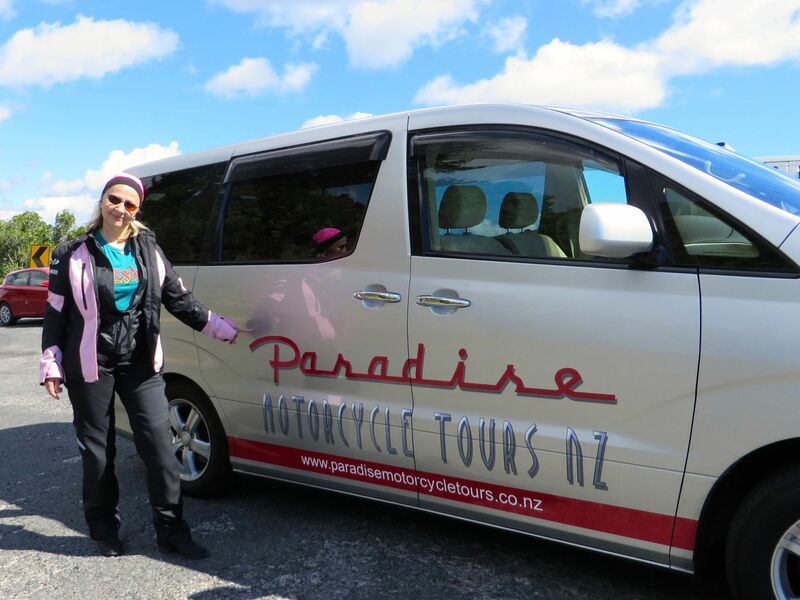 Paradise Motorcycle Tours have made it their business to provide the best New Zealand has to offer. The company was established by Michael Rose, who had a dream of running a motorcycle tour company for many years. That dream became a reality in March 2008, when Paradise Motorcycle Tours was established in New Zealand. Mike travelled across the World from the UK to make his dream a reality, in the best country to ride a motorcycle bar none. He and his team are justly proud of the way they have changed the face of motorcycle rentals and motorcycle tours in New Zealand by raising the standards and being the leaders in their field. No longer will you be handed the keys to an old, high mileage motorcycle and be told 'there you go Mate, just head south!" Paradise is twice winners of the Luxury Travel Guide, Best Motorcycle Tour Company, Asia Pacific 2016 and 2017. Paradise is the only NZ based Approved Travel Partner of BMW Motorrad. We cater for everything from short week-long motorcycle holidays to longer NZ-wide motorcycle adventures and tours in Europe. Enjoy the freedom of biking around New Zealand amongst friends, or on your own, with all the amenities, routes and motorcycling equipment taken care of. Travelling has never been this easy. Paradise Motorcycle Tours have every part of your motorcycling adventure organised so you can relax and take in the scenery and hospitality our New Zealand tour has to offer. 7 Day North Island Motorcycle Tour - This motorcycle tour from Auckland covers all the must see places the North Island of New Zealand has to offer. 7 Day South Island NZ Motorcycle Tour - Flying in and out of Christchurch this motorcycle tour covers the must see places the South Island of New Zealand has to offer. 10 Day South Island Motorcycle Tour - Enjoy southern hospitality on this spectacular self-drive motorcycling touring experience. Covering mountains and beautiful coastlines, you will see why international tourists keep coming back to the South Island. 11 Day South Island Motorcycle Tour - Using our pre-programmed GPS you can relax and enjoy the motorcycle trip of a lifetime. This tour includes a Milford Sound cruise and options to go jet boating or bungee jumping in Queenstown. 14 Day South Island Motorcycle Tour - Starting from Christchurch this two week self-drive tour gives you the time you need to take in the scenery and enjoy this wonderful part of New Zealand. 16 Day New Zealand Motorcycling Tour - Why not extend your motorcycle trip a little to see what the North Island has to offer as well? With the volcanic geothermal geysers and hot pools in Rotorua, and trout fishing at Taupo, you won’t be disappointed. 21 Day Motorcycle Tour New Zealand wide - With the best motorcycling equipment you will explore everything New Zealand offers. With no stone left unturned you will see why this is one of the world’s best motorcycle tours. Our self guided motorcycle tours include airport transfers, roadside assistance, carefully selected quality accommodations and more. Check out the Self Guided Motorcycle page for detailed motorcycle route maps, daily itineraries and more. Our Motorcycle Tour Guides love motorcycling and will take you to the hidden gems and well-known treasures throughout New Zealand. As the only BMW Motorrad Travel Partner in NZ we have the latest touring motorcycles and motorcycling equipment for you to enjoy. Our guided tours bring together motorcycle riders from around the world for the ride of a lifetime. 11 Day Guided Motorcycle Tour South Island, NZ - This guided motorcycle trip from Christchurch covers the top spots the South Island of New Zealand has to offer. 16 Day Guided Motorcycle Tour New Zealand wide - Flying into New Zealand’s largest city Auckland - this BMW motorcycle tour of New Zealand will take you around New Zealand to see all the breathtaking scenery. 18 Day Guided Motorcycle Tour New Zealand wide - Flying into New Zealand’s largest city Auckland - this BMW motorcycle tour of New Zealand will take you to see all the breathtaking scenery. 21 Day Guided Motorcycle Tour New Zealand wide - This is the ultimate guided tour for visitors to New Zealand. You will get to bike around New Zealand in a BMW motorcycle of your choice and have time to take in the spectacular views of both the North and South Island. All our guided motorcycle tours include airport transfers, accommodation, motorbike insurance and more. View our motorcycle tour routes, itineraries and more on our Guided Motorcycle Tours page. Different tour options, years of experience, quality motorcyles and so much more! Curious travellers will love New Zealand's North Island. Head out on the roads to explore its remarkable nooks and crannies and you'll be well rewarded. New Zealand is known for its clean fresh air and pristine landscapes, and we want to help keep it that way. The European alps tour by Paradise Motorcycle Tours was an exciting, amazing, fun time. The scenery is stunning and the roads incredible. Mike and Jo have done a huge amount of research and tweaking to ensure the tour, accommodation and food are all of the highest quality. Mike was an excellent guide and Jo's warm, bubbly personality quickly made us all feel part of a team. Their attitude and personalities make them perfect to run this sort of business. Any issues were quickly sorted and nothing was too much trouble. It's reinvigorated our love of biking. We would definitely recommend!